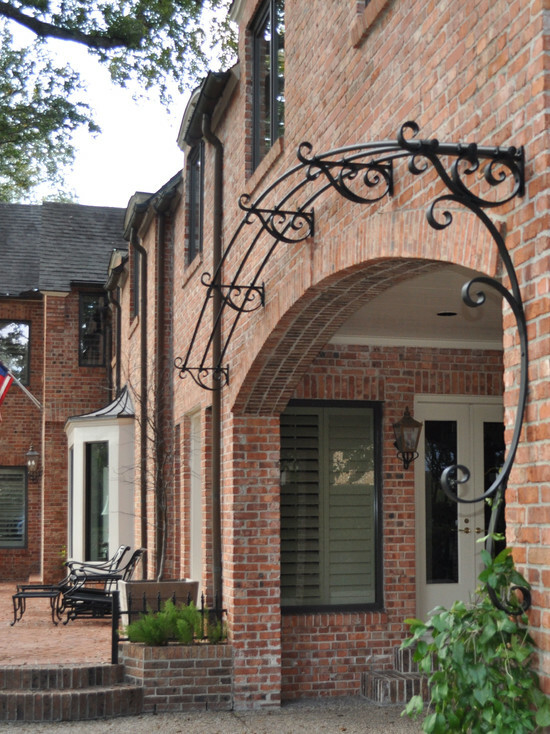 One of our more reputable achievements in recent years was a project in River Oaks that involved replacing a fountain that stood in the corner of the large brick wall. While only one of many elements that we added, this new corner fountain played a significant role in transforming the entire landscape. 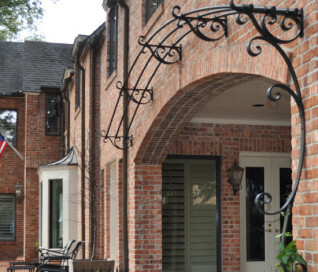 It introduced a new, more symmetrical geometry to the yard, and it helped provide a more noticeable, complimentary color contrast to that of the brick wall behind it. The existing corner fountain was a very old three-tiered fountain structure that was common several decades ago. This is the type of fountain you almost always see in old movies. In a way it projects a certain sentimentalism about simpler, more absolutist times. 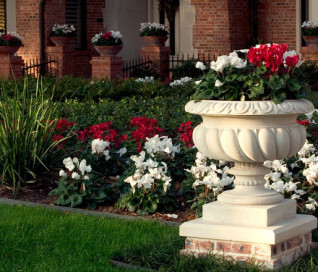 However, its power as a symbol fails to convey feeling beyond simple nostalgia, and because of this its use in landscaping has long since become cliché. The old corner fountain had many problems on a functional level as well. It had started rusting out several years past and was now constantly malfunctioning. This was primarily because the fountain pump had been installed underwater and had started to rust out. The lighting fixtures had begun to rust out as well, and the leakage that resulted caused them to intermittently fail. 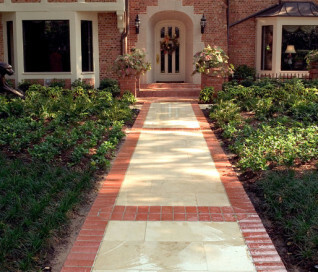 There was also a problem of too much space between the fountain walls and the brick wall around the home. Weeds and excessive vegetation had overgrown the back of the fountain, and they were beginning to overshadow a good portion of its structure. The time had come for a significant change. We therefore replaced not only the original corner fountain, but we also developed an entirely new fountain design. The new structure was shaped like rectangle whose right angles closely mirrored those of the wall behind it. The vertical walls of new fountain itself were made to slope upward on either side in a slight, inverted arc that leveled off at the top and intersected in the corner. 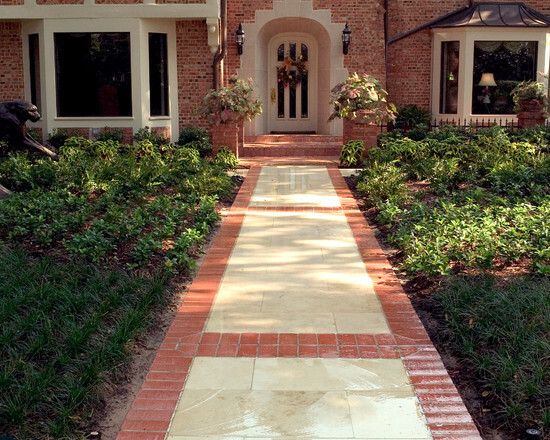 To create a decorative color contrast, we covered most of the bricks in the front, as well as the limestone walls in the back, with a travertine coping. 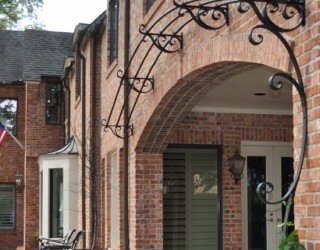 This gave the entire structure a soft cream color that proved a perfect complement to the red brick of the wall. Then, on both vertical walls, we installed three water spouts each and installed new fountain lights to illuminate the water from below as it fell into the basin. To add to the mystique of this experience, we also fitted the new corner fountain with a remote pump and an external filtration system that allowed it to run silently, leaving only the water itself to be heard. This also had the practical benefit of preserving the pump itself from the rust that had destroyed the original one. 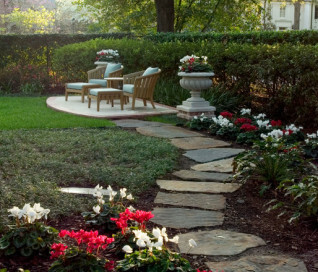 Of course, right angles create very sharp focal points that can often clash with other elements of a landscape. In order to alleviate this and create a sense of harmony and blended aesthetic, we planted several new types of vegetation around our corner fountain. We used dwarf monkey grass and Ardesia to create ground cover. Both species do very well in shady areas, and Ardesia also offers the added benefit of erosion control and a nice green color to further compliment the colors of the wall and the fountain. To add an enhanced vertical element to the scene, we planted a Japanese maple beside the corner fountain. This is a wonderful tree to use in landscaping because it provides both ideal proportions and color. 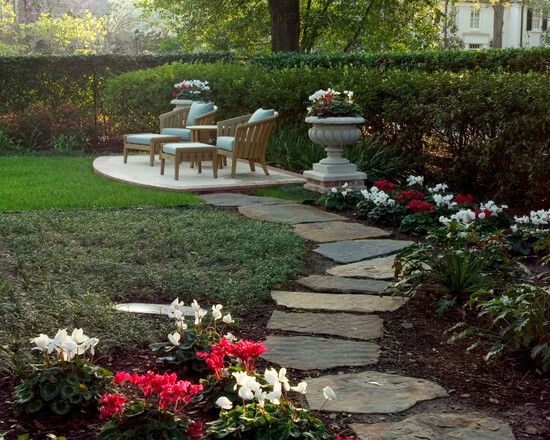 It has burgundy leaves that provide a great deal of shade, but it never gets too tall. 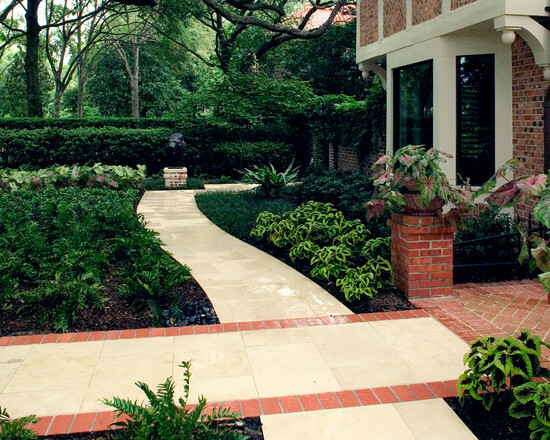 Because this property was so large, it was actually landscaped with two separate patio areas in the yard. 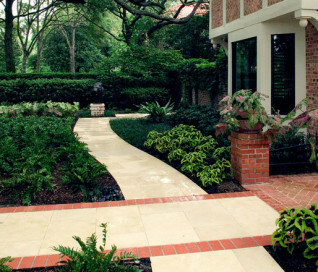 Since each patio faced either one side of the corner fountain or the other, the illuminated waterspouts dancing against a limestone backdrop became the natural focal point that drew the eye toward itself as the center of attention regardless of one’s position in the yard.